December 2013 - Are you ready for something completely different to feed your iPad® gaming addiction? 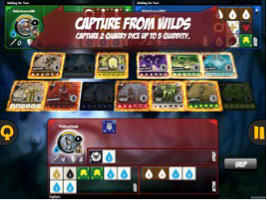 Get ready for Quarriors!, the dice-rolling "deck-building" game coming to the App Store this December. 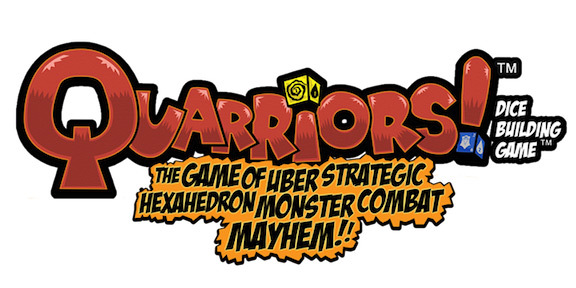 In Quarriors!, you'll be collecting and rolling dice as your monstrous minions of battle! Each die represents a fantastical creature or hero, with their own attacks, defenses, special powers and an awesome avatar. Death Dealers, Quake Dragons, Warriors of the Quay and much more will round out your dice bag of magical and mighty battlers! Don't miss the recently released trailer at http://www.youtube.com/watch?v=FtrutXz1xXs&feature=c4-overview&list=UUbP...! 6 March 2013 – (New York, NY) 4K Media Inc., the newly formed, wholly owned subsidiary of Konami Digital Entertainment, Inc. announced today that it is creating a line of the games using the WizKids HeroClix and Dice Building Game platform, Quarriors, featuring the Yu-Gi-Oh! Classic animated library. Under the agreement, WizKids will produce a line of games based on the beloved animated series that first aired eleven years ago. The first HeroClix release will feature approximately 50 collectible HeroClix figures released with a two player Starter and Booster expansion packs. The product is expected to hit the market later this year with additional sets being released throughout 2014. Yu-Gi-Oh! HeroClix and Dice Building Games will be available at specialty, hobby and comic book stores worldwide excluding Asia.